Francisco Gonzalez has been honing his craft for well over a decade, from the prolific Ben Jordan freeware series through his acclaimed Wadjet Eye collaborations A Golden Wake and Shardlight. 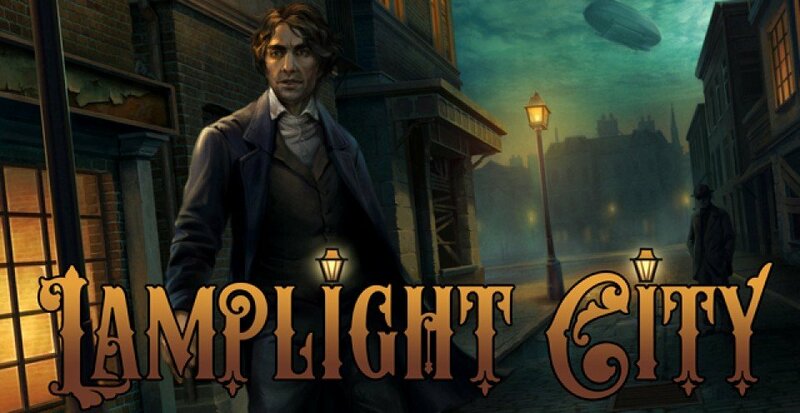 Now the indie developer is returning to his supernatural mystery roots with the upcoming Lamplight City. In the latest installment of Inside Adventure Gaming, Francisco takes us behind the scenes to discuss his new retro-styled, paranormal steampunk(ish) adventure set in an alternative Victorian era in the city of New Bretagne, due out September 13th on Windows, Mac and Linux. I’m super stoked for this long anticipated game! Can’t wait to play it. I liked Shardlight, but hope this game will be a bit more of a challenge though. It looks great what I’ve seen so far. It’s interesting that Lamplight City and Unavowed are both being released at essentially the same time by WadjetEye. Both are relatively complex detective games that are broken down into five segments. Written by two different authors. And I doubt there was any “collusion” which is an all too common descriptor these days on this side of the pond. The one other thing the two games seem to have in common is the enormous commitment you must make. Back in the day I could get up, go to work, Put in my 8+ hours, come home, eat dinner and converse with my wife. Turn on the PC and play 3+ hours of a game. Go to bed. Repeat. I neither can, nor want to do that anymore. To old, too set in my ways, and, having survived a life-threatening medical event, too unwilling to make the kind of commitment that these two games seem to require. I’ve got better things to do. I’m sure these are great games. If you have the time and personal resources to commit to them…have at it. Lamplight City isn’t a Wadjet Eye games. Francisco’s last couple were, but this one isn’t. And rest assured, Unavowed doesnt need a lot of commitment at all. It’s a great game and isnt a challenge at all. If you play one or two hours at a time you finish it before you know it. If you like a good story and like the clasic adventure’s it is a must play. You won’t be dissapointed. It’s not like the hard old siera games you get stuck for days or even weeks. There are only a few puzzles and they are very easy. But ofcourse take care of yourself! It sounds like you got through a very rough time. In Lamplight City, each case has a definite “correct” solution, but depending on how you play it, you may not reach it, or even see certain locations/meet certain characters, etc. You can also accuse the wrong person altogether, meaning you might not get the “true” story of each case the first time. As for the commitment: each case takes roughly 1 1/2-2 hours to play through, so you can easily play the game in short sessions. There’s also a casebook that keeps track of your objectives and clues, so it’s easy to get back up to speed if you decide to take a break in the middle of a case. Don’t get me wrong. I still love playing adventure games. I’m participating in the current AGCPT which features one of my old favorites, Shivers. The thing is though, since the “event”, if I’ve got an afternoon to spare, I’d rather go downtown to see what’s new at the zoo. Late last month two Madagascar hedgehogs were born, and are just being put on display. I’d rather go see them that play a game. Difference is that I once LOVED playing games. Now I merely enjoy them. I now much prefer joining a playthrough than playing a game solo. We’ll see how it all works out.